Perfect for valuables, confidential documents, or pharmaceuticals. 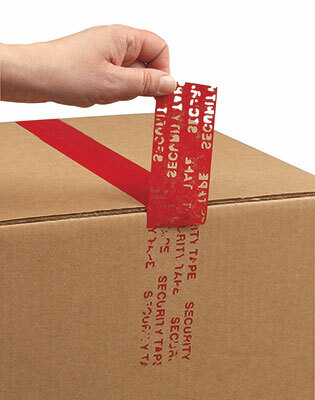 Polypropylene carton sealing tape looks like plain tape when applied, but once removed the message "Security Tape" remains on the box. 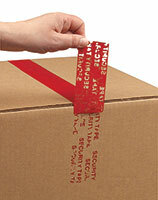 Partial release tape transfers some adhesive to the surface and leaves some on the film. Impossible to realign if removed. The amount of message transferred may vary depending on the surface material on which it is applied.